Last week I was on Facebook chatting with an old friend about an older friend of ours who passed away almost a decade ago now. His name was Steve Gibbs and he owned a successful business that manufactured archery products. Steve's company sponsored me when I was attempting to make the 2000 U.S. Olympic Archery Team. (I didn't qualify, but that's a story for another place and time). Steve and his company developed a bunch of innovative, patented products. Many of those innovations have been improved upon since his passing. Thinking about Steve and his innovations prompted me to do a little digging in Google Scholar. Specifically, digging into the patent search in Google Scholar. Through my digging in Google Scholar I was able to see who has used and or referenced my friend's patent in the development of subsequent, similar products. 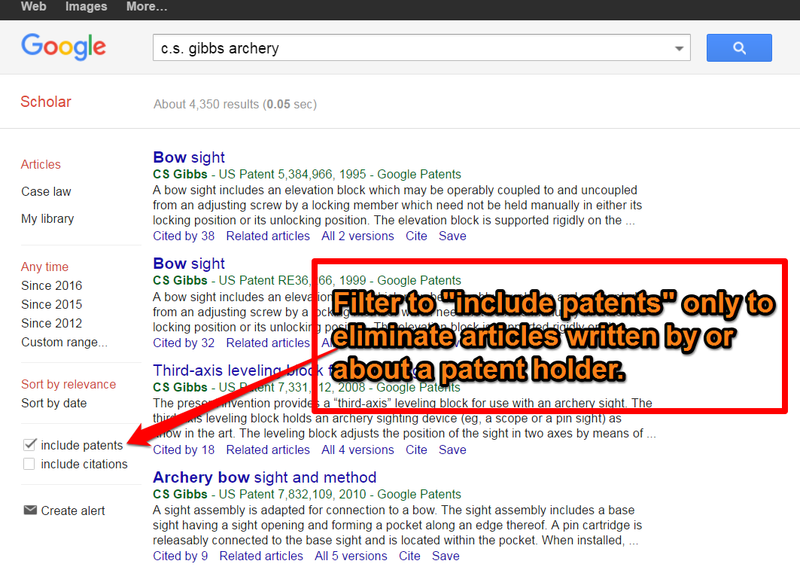 In Google Scholar you can search for patent filings as well as literature about patents and their respective holders. 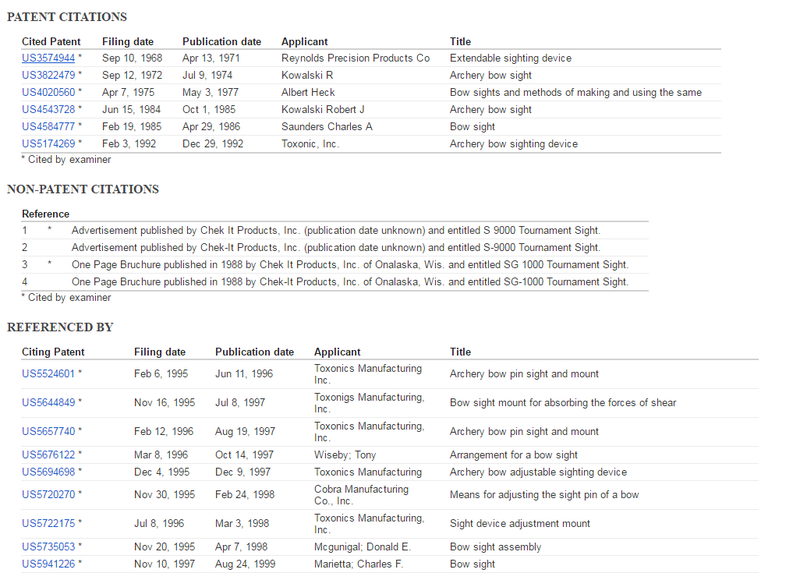 What's interesting about patent search in Google Scholar is that once you've located a filing you can then read the abstract of the filing, view drawings associated with the filing, and read the claims made by the patent holder. Further more, at the bottom of the filing page in Google Scholar you will find a list of citations to related patents referenced in the filing along with a list of other patent filings referencing the one that you're currently viewing. 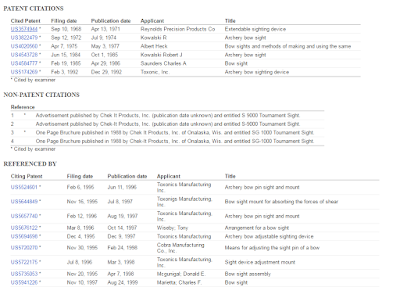 Most of those references include direct links that you can follow back to their respective patent filings. 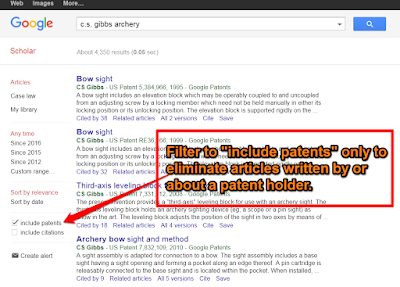 Conducting a patent search in Google Scholar and or on Google Patents (a subsection of Scholar) could be a good way for students to trace the development of innovations on a product or process. You could have students create a timeline of development. In that timeline ask them to summarize how each new, related patent was influenced by prior developments. We will explore this idea and many others in Teaching History With Technology starting in October.